The Carriage Foundation's major project is ‘Carriages of Britain’ (COB). Although launched just a few years ago, the project goes back a long way and has developed into something much greater than originally anticipated. A few years prior to the carriage themed conference ‘Pomp and Circumstance’ at the Museum of London in 2009 a group of museum curators, conservators, historians and enthusiasts came together to discuss the plight of historic carriages. Through their research this group of people had recognised that there was very little information easily accessible or available on the world wide web. It had also been recognised that carriages within many museum collections were either misinterpreted or misunderstood. Another problem: when one wishes to compare and contrast features on two carriages that are at opposite ends of the country, numerous logistical challenges arise. 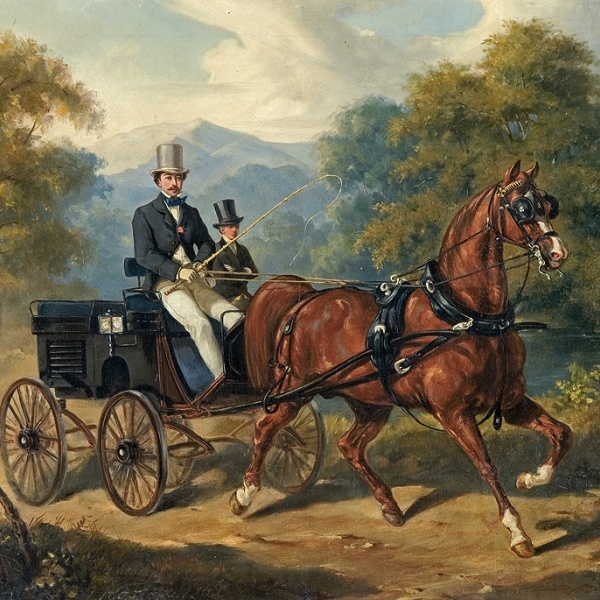 Carriages of Britain was formed with the plan for it to become an archive of material relating to carriages. As time progressed it became more obvious that there was real need to document historic carriages thoroughly and accurately and make the information more accessible. With the National Trust launching their collections online it was decided that this was the way to go, a fully searchable online database. Carriage Foundation members were involved in the cataloguing of the National Trusts collections and so it was a natural conclusion that the charity take on this mammoth task.